Siemens and Electro-Matic invite you to join over 3200 manufacturing executives, engineers and enthusiasts at Manufacturing in America 2019 inside Ford Field in downtown Detroit. Learn about the newest technologies, share best practices and ideas, and be a part of advancing the future of manufacturing. Join Siemens and innovation thought leaders at The Summit, our annual gathering where we will explore how digitalization is shaping the future of manufacturing. Take part in thought-provoking presentations, discussions, and sharing best practices with leading experts from the U.S. manufacturing industry. 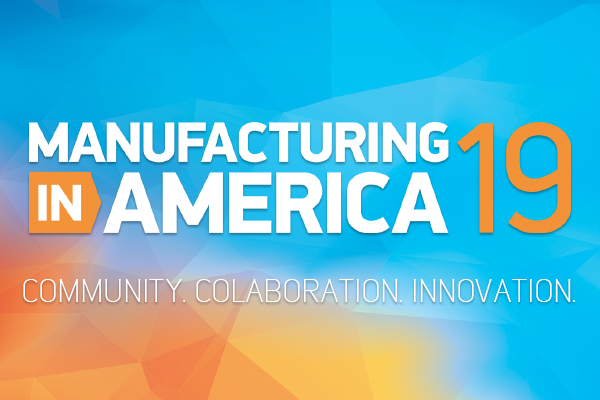 Manufacturing in America 2019 features over 50 hands-on product demonstrations available throughout the two-day event from leading industry manufacturers around North America. Manufacturing in America is attended by over 3,200 industry professionals across over 800 different companies. Throughout the event managers from participating companies are available along with conference room spaces for one-on-one meetings.